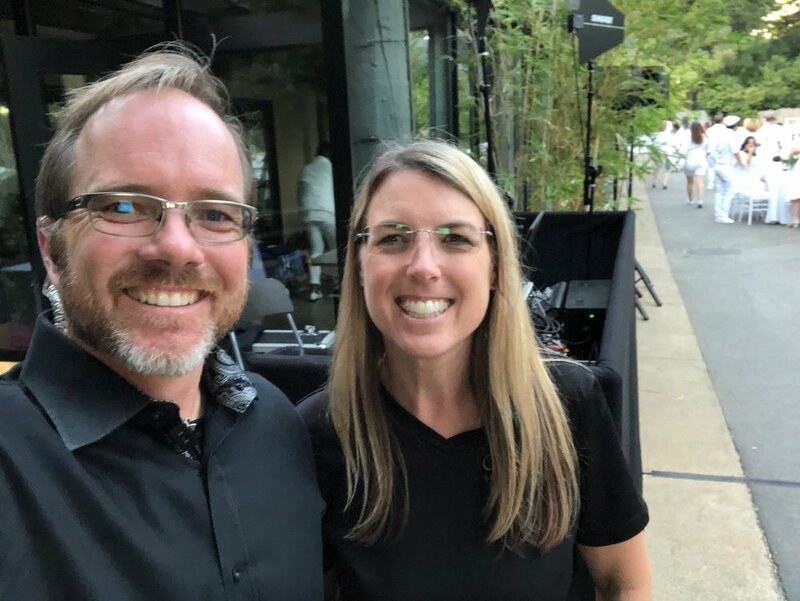 This was perhaps the most unique event we have done all year. 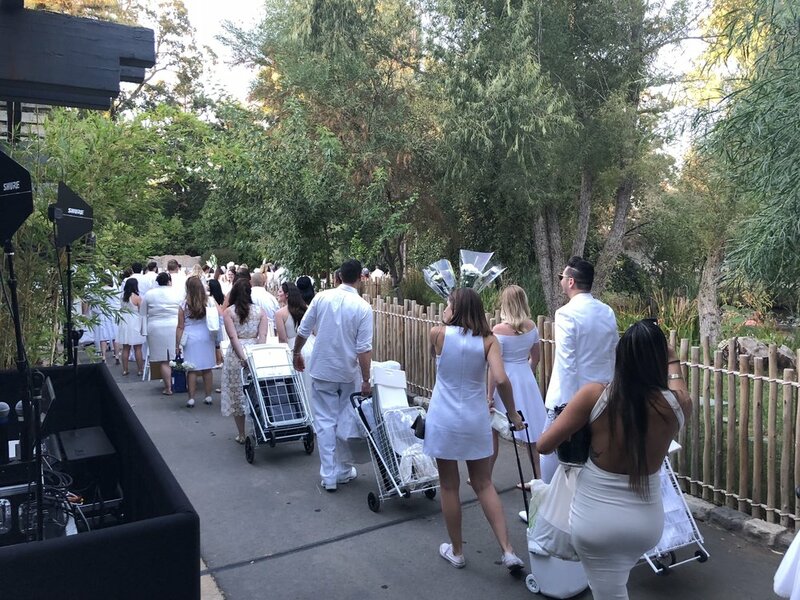 This event has about 2,000+ participants and they are all directed to wear all white, bring their own table, chairs and dinner and meet at a location where the actual destination is revealed. 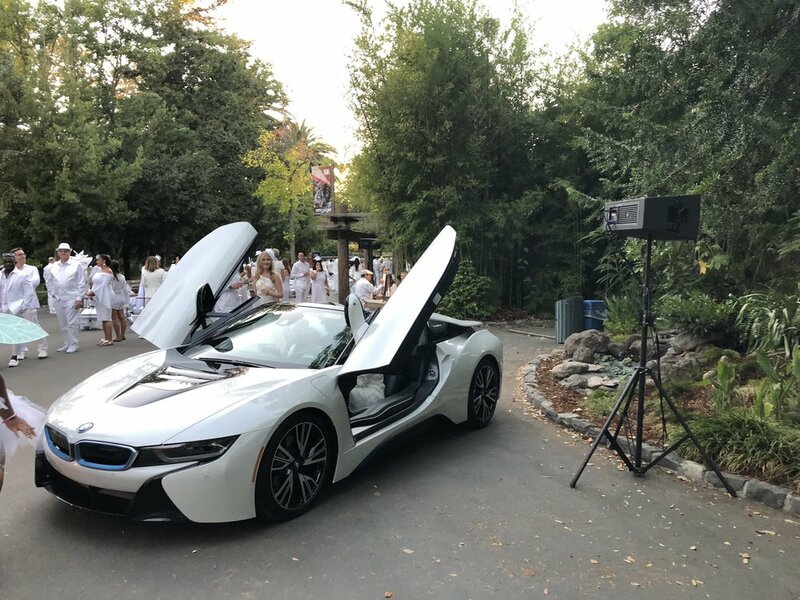 This year, the event was being held at the Sacramento Zoo and it was a big secret until it was revealed.. We were tasked with providing sound throughout the entire zoo, and sound for the main stage with Apple Z performing. 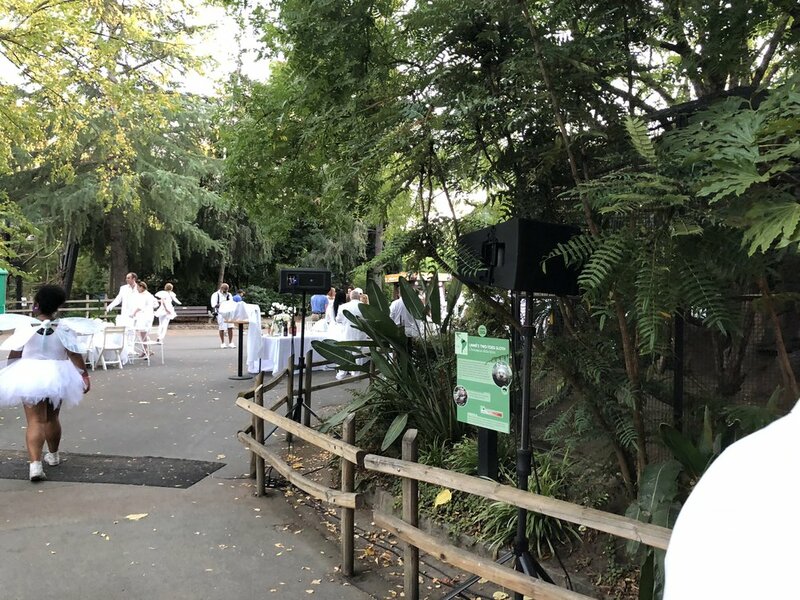 We were able to set up the night before, and the zoo is a magical place in the dark. We set up 13 speakers all over the zoo, and then main speakers and subwoofers at the main stage. It was a challenge running all that signal cable all over and finding power in this 91 year old facility, but we made it work and it was a blast. We will never forget getting a text from the zoo asking us to turn it down a bit because the monkeys and the giraffe were freaking out.